One of the most serious US environmental disasters east of the Mississippi River occurs Oct. 11, 2000, in the far eastern Appalachian region of Kentucky. Over 300 million gallons of thick, black coal slurry sludge explodes out of a mountainside when a Massey Energy Co. dam collapses near Inez (Martin County), Kentucky into the Big Sandy River’s Tug Fork and its tributaries. The spill destroyed 100 miles of streams and killed millions of fish. (See Kentuckians for the Commonwealth site for photos). The spill is significant not only for its scale but also for what was revealed about corruption in the US environmental system. When National Mine Health and Safety Academy engineer Jack Sparado was called in to investigate the spill, he found that Massey Energy officials knew about a 1994 spill from the same dam which they had misrepresented. But Spadaro’s investigation was cut off and, when Sparado went public, he was fired by the Bush Administration. Robert F. Kennedy Jr. said: During Sparado’s investigation there was a regime change at the White House. And it became clear that George W. Bush and his coal cronies were just as concernced about the Inez disaster for very different reasons…. The new Bush team at the Dept. of Labor included Secretary Elaine Chao … the wife of Sen. Mitch McConnell of Kentucky, the Senate’s largest recipient of coal industry largesse. As the investigation moved forward, Massey Energy contributed $100,000 to a Republican Senate campaign committee controlled by McConnell. Chao appointed Dave Laurinski, a former executive with Energy West Mining, to be director of the Mine Safety and Health Administration., Laurinski’s deputy assistant secretary was John Caylor, an alumnus of Amax Mining; his other deputy assistant, John Cornell, has worked for both Amex and Peabody Coal. Together this group wasted no time in putting the brakes on the investigation. Tony Oppegard, Spadaro’s boss, whom the team regarded as a strong leader with unquestioned ingetegrity, was fired on the day of Bush’s inauguration. “He was getting down to the root of what was going on,” Sparado says. “He was simply fired. The people at Massey knew before he did.” — From Robert F. Kennedy Jr.’s Crimes Against Nature: How George W. Bush and His Corporate Pals Are Plundering the Country, Harper Collins, 2004, p 122. 2000 — April — Earth Day Network remembers 30th anniversary of the original Earth Day. 2000 — Jan 1 — European Union bans leaded gasoline as a public health hazard. 2000 — May 15 — Walkerton, Ontario — Residents of this small town simultaneously experience serious symptoms of E. coli infection. The Walkerton Public Utilities Commission insists that there are no problems with the water, even though they have lab tests confirming contamination. Seven people die and 2,500 — about half the town — becomes ill. Finally, after regional medical officials step in, the extent of the problem is uncovered. Two untrained city water sytstem managers are briefly jailed in the aftermath of the Walkerton tragedy. 2000 — May 20 — Bruno Manser, a Swiss artist working with the Penan people in Sarawak, Malaysia trying to protect rainforests, disappears. The repressive Malaysian government had long seen Manser as a troublemaker. “My own purpose in going to Sarawak,” Manser said, “was never to go there as an environmentalist, or make politics. I wanted to experience for myself how an indigenous people lived outside the money economy. But somehow it became a question of humanity–to help the indigenous people whose pleas fell on deaf ears from the companies and the government.” The Penan people are perhaps the last nomadic tribe in southeast Asia. They sheltered Manser and taught him how to live and survive in the rain forest. In turn, Manser helped organize Sabat Alam Malaysia. Many belive Mansur was killed by logging operators. He was declared legally dead in 2005. 2000 — August — Rain forest logging banned in New Zealand following a 30 year campaign by environmental groups. 2000 — August 18 — A Florida state civil court convicts a Fox Television affiliate under “whistelblower” statutes for deliberately distorting the reporting of journalists Jane Akre and Steve Wilson about Bovine Growth Hormone, a chemical found in most milk. The TV network had allegedly caved in to pressure from Monsanto Chemical to spike news reports about health and environmental concerns with BGH. Akre and Wilson were awarded the Goldman Prize in 2001. Their fight is described at their Web site FoxBGHsuit. 2000 — November — World Dam Commission, an independent organization with a variety of stakeholders, reports on alternatives to massive hydroelectric dam projects. 2001 — January 20 — Bill Clinton leaves the presidency after protecting 58 million acres of national forest protected from development and creating eight million acres of land as new national monuments. Clinton’s conservation record is better than any president sicne Theodore Roosevelt, whose 230 million acres of land in parks, wilderness, national forests, and wildlife preserves remains unequalled. 2001 — March 23 — David McTaggart, one of the founders of Greenpeace, dies in an auto accident in Italy. 2001 — May 10 — The George W. Bush energy plan emphasizes oil exploration and new construction of coal and nuclear power plants. Conservation and renewables are also mentioned more or less in passing — funding cuts for research are requested. The Wilderness Society says the plan is a half century out of date. 2001 — May 25 — Gilbert Grosvenor, chairman of the National Geographic Society and former editor of National Geographic magazine, is elected to yet another term on the Board of Directors of the Ethyl Corp., manufacturers of dangerous lead additives for gasoline. Meanwhile, the worldwide public health campaign against use of leaded gasoline continues. By 2004 Grosvenor will retire from the board. 2001 — June 14 — European leaders scold US President George W. Bush in a European tour for his stand on the Kyoto global warming treaty. 2001 — June 9 — Science magazine publishes NASAsatellite survey of over 2,000 glaciers showing that most of are shrinking. Many thousands of NASA images from the Terra spacecraft are compared with aerial photos over the decades. Most glaciers shrank by hundreds of metres, some by several kilometres. 2001 — July 22 — G8 Summit in Genoa, Italy sees massive protests over the lack of environmental and labor standards in the push for international free trade. One protester is killed by police, others are beaten and detained under harsh conditions. 2001 — Summer — Protests in China concerning the Three Gorges Dam increase as a massive relocation of over one million people begins. “Credible accounts are emerging of protests involving thousands of people,” said the London Independent (June 19). “The authorities are reported to react with violence and intimidation to these protests, and to subdue residents who are unwilling to leave. Local anger appears to be galvanising the migrants into organised action. Dozens of petitioners have already travelled to Beijing to entreat the central government’s help.” Many of them have been jailed. Meanwhile, nearly 300 Chinese officials have been disciplined or jailed for corruption in dealing with the relocation effort. 2001 — July 6 — Environmental Working Group reports thatsources of drinking water for more than 7 million Californians and millions of others are contaminated with Perchlorate, a chemical that disrupts child development and may cause thyroid cancer. 2001 — July 19 — Convictions of Mexican environmental activists Rodolfo Montiel and Teodoro Cabrera on arms and drug possession charges is upheld by an appeals court despite evidence that their confessions were obtained under torture. Montiel has been recognizedfor efforts to preserve tropical rain forests in the Sierra Madre mountains of Mexico’s west coast with a 1999 Goldman Prize in 1999 and the Sierra Club Chico Mendez Prize. The environmental issue is that between 1994 and 2000, more than a third of the 560,000 acres of forest in the Costa Chica region of Guerrero state was cut down, according to a satellite imaging study by the environmental group Greenpeace. Mexican environmentalists says corrupt local politicians cut deals with timber companies to allow illegal logging. 2001 — Sept. 11 — World Trade Center,Pentagon and Flight 93. Within a year, 358 firefighters and five emergency medical service personnel involved in the WTC rescue and recovery efforts will be placed on medical leave or light-duty assignments due to respiratory problems according to a study published by the U.S. Centers for Disease Control and Prevention. Many of the sick firefighters had not used proper safety gear and now have “WTC cough,” which refers to a combination of sinus congestion and irritation of the throat, lower airways, and esophageal tract. Only 48 percent of those who had serious WTC coughs have improved enough to return to full-time work, CDC said. 2001 — Nov. 8 — Rodolfo Montiel and Teodoro Cabrera freed by order of President Vincente Fox after their attorney, Digna Ochoa was shot to death in her Mexico city office Oct. 19. 2001 — December 14 — The UNESCO World Heritage Committee has inscribed six new natural sites on the prestigious World Heritage List and has added extensions to three others during its annual meeting here in Helsinki. These include a mountain range in Russia (home of the rare Amur tiger), Great Britain’s Dorset and East Devon Coast, Brazil’s Cerrado region and Atlantic Islands, . the Alejandro de Humbolt National Park in Cuba, and the Jungfrau-Aletsch-Bietschhorn in the Swiss Alps. 2001 — World Meteorological Organization says the year 2001 is projected to be the second warmest on record. The warmest year since records began in 1860 occurred in 1998, according to records maintained by member countries. Nine of the 10 warmest years have occurred since 1990, including 1999 and 2000, when the cooling influence of the tropical Pacific La Niña weather pattern contributed to a somewhat lower global average temperature. 2002 — January — Survey of satellite images finds that Mexico lost almost 3 million acres of forest and jungle each year between 1993 and 2000 – nearly twice what officials had previously estimated. The Montes Azules Biosphere and the Lacandon rain forest in the state of Chiapas are in most critical danger. 2002 — January — Scientists at the University of California confirm that an algae-like organism has infected oaks, redwoods and Douglas firs in California. The organism is related to the species responsible for Ireland’s potato famine of the mid-1800s. 2002 — January 29, 2002 — The German government announced plans for a massive increase in wind generation capacity over the next 25 years. The move, according to environment minister Jürgen Trittin, would put energy supply and sustainable footing and reduce national carbon dioxide emissions by 10 percent from 1998 levels. The wind energy strategy agreed today foresees offshore wind parks in the Baltic and the North Sea growing in stages to achieve 25,000 megawatts of installed capacity by 2030. 2002 — February 25 – A jury in Anniston, Alabama ruled that Monsanto Chemical company was responsible for polluting the town with tons of toxic PCBs. The jury decided to hold Monsanto and the company that now represents its chemical division liable on six counts: negligence, nuisance, suppression of the truth, trespass, wantonness and outrage.In Alabama, the claim of outrage – a count almost never claimed or won – requires that the plaintiffs prove conduct “so outrageous in character and extreme in degree as to go beyond all possible bounds of decency so as to be regarded as atrocious and utterly intolerable in civilized society.” More information is at the Chemical Industry Archives. 2002 — February 11 — Jean-Michel Cousteau, ocean explorer, environmentalist, educator, and film producer, symbolizes the the environment at the 2002 Winter Olympic Games. Cousteau was one of eight people to carry the Olympic Flag during the Opening Ceremonies into the stadium in Salt Lake City. The eight participating dignitaries, who represent the five continents symbolized in the Olympic Rings and the three tenets of the Olympics, included Archbishop Desmond Tutu (Africa), John Glenn (The Americas), Kazuyoshi Funaki (Asia), Lech Walesa (Europe), Cathy Freeman (Oceania), Jean-Claude Killy (Sport), Steven Spielberg (Culture), and Jean-Michel Cousteau (Environment). Note: Jean-Michel Cousteau is the son of Jacques Cousteau but is not the head of the Virginia-based Cousteau Society. 2002 – The U.S. wind energy industry wins passage of an extended production tax credit for electricity generated by wind power. 2002 — August, September — World Summit on Sustainable Development (also known as Rio + 10), gathers in Johannesburg, South Africa. Part of a progression of world summits on the environment which began in 1972 with the United Nations Conference on the Human Environment in Stockholm and continued with the 1992 Earth Summit held in Rio de Janiero, Brazil. Many were unhappy with the outcome. Venezuela’s President Hugo Chavez said the summit had turned out to be a 10-day “dialogue of the deaf.” Environmentalists like Ricardo Navarro, chairman of Friends of the Earth International, said: “We should never have such shameful summits again. We feel anger and despair because world leaders have sold out to the World Trade Organization and big business. They have done nothing for the poor.” While acknowledging that the summit accomplished few concrete results, many others felt that any dialogue is better than none at all. South African President Thabo Mbeki and U.N. Secretary-General Kofi Annan said expectations had been high and that a workmanlike set of agreements had been achieved. The summit did set a goal of cutting in half by 2015 the 2.4 billion people without sanitation in the Third World. It also led to an agreement to minimize harmful effects from chemicals production by 2020 and halt the decline in fish stocks by 2015. Still, the goals will require incresing aid from industrial nations, currently at about US$54 billion a year. Sept. 20 — Kolka glacier in the Cacusus mountains of southern Russia collapses, killing 300. Bush Administration compiles the most anti-environmental record of any US president in history. Under fire by Bush and Congressional Republicans are the Clean Air Act, the Clean Water Act, the toxic waste Superfund, the Right to Know Act, the Marine Mammal Protection Act and many more. See the NRDC web site on the Bush record. Also see the Mother Jones series on the Bush environmental record. 2003, Jan 29 — Bush administration wins a court victory on mountaintop removal mining. Environmental groups had challenged permits for coal mining operations for mountaintop removal, saying they violated the Clean Water Act. The law allows companies dynamite huge slabs of mountains and then dump the “spoil” — tons of rock and dirt — into valleys and streams. The practice saves money, but environmental and citizens groups stopped it with a lawsuit in May of 2003. The U.S. Court of Appeals for the 4th Circuit, however, ruled in favor of the companies. About 20 new permit applications were pending in West Virginia and Kentucky just after the Bush victory. 2003 — Senate rolls back New Source Review An attempt by Sen. John Edwards (D-NC) to postpone a rollback of the New Source Review rules is defeated in the Senate (46-50) during amendment votes on the 2003 budget bill; a competing amendment by Sen. James Inhofe (R-OK) wins (51-46), clearing the way for the Clean Air Act rollback. 2003 — March 21 — Invasion of Iraq by US and British forces leads to widespread oilfield burning and other war-related environmental problems. 2003 — June — Energy bill introduced in Congress would include ethanol mandates, nuclear power plant construction, liability exemptions for MTBE users, electrical reliability measures and other items. 2003 — Aug. 12 — Canadian Prime Minister Jean Chretien announces $1.3 billion in spending to comply with the Kyoto climate treaty. 2003 — Aug. 28 — EPA rejects petition from environmental groups to regulate greenhouse gas emissions from vehicles, saying it did not have the authority under the Clean Air Act — an assertion that contradicted the agency’s position under the Clinton administration. , when its officials testified before Congress that it had the necessary authority. The petition was brought by Greenpeace, the International Center for Technology Assessment, the Sierra Club, other environmental groups and previous EPA general counsels. The peition argued that the Clean Air Act directed the agency to regulate pollutants that constituted a threat to human welfare, and pointed out that climate stability is part of that welfare. The U.S. Chamber of Commerce, the National Association of Manufacturers and other industry groups supported the EPA decision. 2003 — Oct 11 — Hunting endangered species — The Bush administration proposes changes to conservation laws that would allow hunters, circuses and the pet industry to kill, capture and import animals from other countries that are on the brink of extinction. 2003 — “Black October” massacre — At least 67 people are killed and 400 injured during protests over natural gas development in La Paz, Bolivia, according to Amnesty International. In 2011, five military officers received prison sentences ranging from 10 to 15 years, while the two former ministers were sentenced to three years. 2003, Dec. 25 — Twelve Eastern states win federal court injunction preventing Bush Administration from weaking clean air laws. State officials say that pollutants from electric power plants refineries and other Midwestern facilities are major contributors to poor air quality and threaten the Chesapeake Bay. 2004, Feb. — A climate change report comissioned by the Pentagon sparks European concern when it discusses possible future cataclysms. The London Observer headlines say: “Now the Pentagon Tells Bush: Climate Change Will Destroy Us,” and: “Secret report warns of rioting and nuclear war” and “Britain will be ‘Siberian’ in less than 20 years.” The authors of the report, Peter Schwartz and Doug Randall of Global Business Network, say that their analysis reflects only a few worst-case scenarios. 2004, March — Environmentalists object when Yellowstone Park Rangers kill over 200 buffalo roaming near the parks edges. The buffalo are thought to be carrying the bovine disease brucellosis and the killings are designed to prevent the spread of disease to nearby cattle ranches. 2004, Aug. 17 — As the election heats up, the New York Times and Washington Post reach a moment of clarity and realize they have not been covering the politics of environmental regulation. See “Bush Rules” by Howie Kurtz. 2004 — September 9 — Scientists publish a study showing that air pollution damages the lungs of Southern California children in the New England Journal of Medicine. The study examined children who were subjected to higher levels of air pollution and found that they developed underperforming lungs at a higher rate than children in lower-pollution areas. 2004 — Oct. 6 — Forest Service regulations preserving viable populations of wildlife in national forests is relaxed to allow the “best available science” rather than new population counts when evaluating road-building, logging or other forest proposals. The change is part of a campaign to give timber companys more access to national forests. 2004 — Oct. 8 — Kenyan environmentalist and human rights campaigner Wangari Maathai wins the Nobel Peace Prize. She is the first African woman to be awarded the peace prize since it was created in 1901. The prize committee says Mrs Maathai, Kenya’s Deputy Environment Minister, is an example for all Africans fighting for democracy and peace. Mrs Maathai is best known for a campaign called the Green Belt Movement that began in the 1970s and planted tens of millions of trees across Africa to slow deforestation. The movement grew to include projects to preserve biodiversity, educate people about their environment and promote the rights of women and girls. 2004 – Nov. 5 — Russia ratifies Kyoto treating, putting it into effect worldwide even without US approval. 2004 – Nov. 8 — Rapid climate change is occurring in the Arctic, according to 300 scientists who worked for four years on the international Arctic Council. The scientists concluded that sea ice in the Arctic covered 10% less surface area than it had 30 years earlier, and was only about half as thick as it had been then. Rapid melting of sea ice threatens many species and the traditional way of life of indigenous Arctic populations, but it might open a waterway through the Arctic sea and ease access to the world’s untapped oil and gas reserves. 2004 — December 7 — Automakers file suit against California to stop a greenhouse gas emissions law that requires better fuel economy. Automakers filing the suit are: Ford, GM, Chrysler, BMW, Porsche, Volkswagen, Mazda, Mitsubishi and Toyota. Dec. 26 — An 8.9 magnitude quake deep under the Indian Ocean triggers massive tsunamis that kill over 230,000 people in 14 nations. Feb 12 — Brazil — Dorothy Stang assassinated. The American-born, Brazilian sister of the Sisters of Notre Dame de Namur was murdered in Anapu, a city in the state of Pará, in the Amazon Basin. She was a fearless crusader working for the poor and trying to preserve the rain forests. In 2010, two Brazilian ranchers were sentenced to long jail terms for ordering her death. Feb. 16 — Kyoto – With a majority of the world’s nations ratifying, the Kyoto Protocol officially goes into force without the U.S. See the UN pages. Meanwhile, the US debate simmers with conservatives pushing minority skeptics onto a confused public. See Environmental Science and Technology wrap-up Aug. 31 2005. Countries signing the treaty agree to cut back emissions of heat-trapping gases to levels 5.2% below their 1990 emissions levels, using a target date of 2012. .May 2 — Canada — Bob Hunter, one of the founders of Greenpeace, dies in Toronto. June 5 — World environment day held in San Francisco, the first time the event has been held in the U.S. in 30 years. July 6, – The European Parliament imposes a permanent ban on six chemicals known as “phthalates” used in plastic toys and childcare articles to soften the plastic because of their carcinogenic, mutagenic and reprotoxic effects. August 29 — Louisiana — Hurricane Katrina makes landfall in Louisiana and breeches the New Orleans levees, killing 1.464 people. The disaster was predicted three years earlier by the New Orleans newspaper. Conservatives immediately blame environmentalists for opposing the initial Corps of Engineers levee system design, but a Sept. 28, 2005 report by the General Accounting Office found that “Corps staff believes that flooding would have been worse if the original proposed design had been built.” In other words, environmental review improved the levee design. Nov. 13 — China – An explosion in a Jilin Petrochemical Co. refinery leads to the release of 100 tons of toxic chemicals (esp. benzene and nitrobenezne) into the Songhua River. The blast kills five workers and injures 70 more. The toxic plume of chemicals in the river shut down drinking water supplies for millions of people in China and Russia. Officials try to keep the release secret at first, but this only arouses more protest as Chinese people begin to come to grips with the widespread water pollution and serious problems in the enforcement of anti-pollution and industrial safety laws. December 2005 — Argentina — Plans for massive new paper mills spark protests in Gualeguaychu and the occupation of bridges to Uruguay. The mills were being built by Finland’s Metsae-Botnia Oy and Spain’s Grupo Empresarial Ence SA. The mills are being built by Finland’s Metsae-Botnia Oy and Spain’s Grupo Empresarial Ence SA. Jan 23– New Zealand, Sweden, Finland, the Czech Republic and Britain lead the world in a study of 133 countries on the 2006 Environmental Performance Index. The U.S., which ranked 28th, met 78.5% of the study’s environmental goals, placing almost 10 percentage points behind New Zealand’s 88% score. The study evaluated the countries based on 16 indicators that fit into one of six categories: sustainable energy, environmental health, water resources, air quality, biodiversity and habitat, and productive natural resources. The researchers said the U.S.’s ranking was lowered by its unsustainable agricultural practices, excessive release of greenhouse gases and poor water management. Jan 26 — Oregon US – Indictments handed down for 11 people on charges that they had committed various acts of arson and destruction of property described by federal officials as “ecoterrorism.” Earth Liberation Front (ELF) or the Animal Liberation Front (ALF) had claimed responsibility for attacks between 1996 and 2006 on an electricity transmission tower, the office of a wood products company, a ski resort and a meat-packing plant in five Western states causing an estimated $23 million in damage. More ELF arrests take place in May. February 7 — Five million acres of rain forest on the west coast of Canada, the Great Bear Forest, is saved from logging, and another 10 million acres will be logged under strict protocols following an agreement between provincial and national governments in Canada and environmentalists. Feb. 17 — Greenland – The glaciers are melting twice as fast as previously estimated, according to a student in the journal Science by scientists with the U.S. National Aeronautic and Space Administration’s Jet Propulsion Laboratory and the University of Kansas who examined satellite images of Greenland’s ice sheets in 1996, 2000 and 2005. The researchers theorized that higher temperatures had created a layer of meltwater between the glaciers and the land on which they sat, in effect lubricating the ice sheets’ movement and hastening their demise. Researchers at the University of Texas come to a similar if more alarming conclusion Aug 24, with melting at a rate of roughly 57 cubic miles (240 cu km) per year — three times faster than the rate recorded over the previous five years. March 14 – Indonesia — University students and demonstrators with bows and arrows assault a US gold mining company’s hotel in Timika. No one is injured that day, but it sets off a wave of protests that leaves three police officers and a soldier dead and dozens of police and protesters injured. Protesters are demanding a halt to the world’s largest gold and copper mine, located in Papua and owned by Freeport-McMoRan Copper & Gold Inc. of the U.S. Every day, the mine dumps 700,000 tons of mining waste on an area now covering 90 square miles of wetlands. Protests continue. May — Mongolia — Parliament passes the Law on Minerals to regulate mining and protect precious waterways. The government also forces 35 of the 37 mining operations working in the Onggi River Basin to stop destructive operations. Erel Mining Co.’s shut down on the Onggi River is a particular victory. Goldman prize winner Tsetsegee Munkhbayar is a major organizer of the environmental reform movements. April 28 — Zanzibar – Some 600 dead bottlenose dolphins wash up on Zanzibar’s northern tourist beaches. Scientists said the animals showed no signs of having been caught in fishing nets or other injuries and suggested they might have become confused by sonar from U.S. Navy ships which often patrol the region. The U.S. Navy denies responsibility. May 2 – World Bank reports that the global market in carbon trading had grown to $30 billion in 2006, from $10 billion in 2005, with $25 billion involving the European Union’s carbon trading scheme. June 18 — Whaling impasse — International Whaling Commission (IWC) passes 33-32, with one abstention, a nonbinding resolution criticizing a 1986 whaling ban as unnecessary and responsible for the depletion of fish populations. But pro-whaling commission members don’t have the 75% supermajority threshold needed to rescind the moratorium. The vote was viewed as a sign of the growing influence of the Japan-led pro-whaling contingent of the 70-member commission. Antiwhaling groups and countries claim Japan was promising smaller IWC member countries financial aid packages, but Japan denied the charge. Aug 2 – India – Centre for Science and Environment (CSE), releases a report claiming that beverages made in India by U.S. soft-drink giants Coca-Cola Co. and PepsiCo Inc. contained, on average, 24 times the maximum level of four pesticides allowed under government standards. The southern state of Kerala bans the production and sale of the two companies’ products. Six other Indian states had followed suit with partial or complete bans on the beverages. August 3 — The US EPA recommends new limits on the use of thousands of pesticides due to their ill effects on human health following a congressionally mandated 10-year review of more than 230 chemicals. The first to be banned is lindane, a toxic insecticide used for agricultural purposes. August 13 Nigeria — At least five foreign oil workers are kidnapped by gunmen in Port Harcourt, the center of the oil-rich Niger Delta. Tensions over oil have risen for years in Nigeria. Perhaps a dozen more are held hostage. September 6 — Toxic waste dumping in Ivory Coast kills 17, sickens 70,000 — Seventeen people died and over 70,000 were sickened by toxic waste dumping by oil trading company Trafugura. Four people were convicted in the incident in 2010, and the company was fined, but many say this is just one incident in a massive scandal over illegal toxic waste dumping. September 20 – Exxon Mobil Corp. must stop funding organizations that undermine science, the Royal Society, an independent British scientific academy, said in a letter to the US company. According to the Royal Society, in 2005 Exxon gave $2.9 million to 35 groups that had “misrepresented the science of climate change by outright denial of the evidence.” The Royal Society said Exxon agreed. September 26 — Earth’s overall temperature has reached its highest level in 12,000 years according to research by James Hansen of the U.S.’s National Aeronautics and Space Administration (NASA) and others. Earth had been warming at a rate of 0.36° Fahrenheit (0.2° Celsius) per decade for the past 30 years, an acceleration from the previous century. Hansen warned that global warming of another two or three degrees Celsius would likely result in a dramatic rise in sea levels and the extinction of some species of plants and animals. September 27 – California imposes a cap on greenhouse gas emessions, the first state in the US to do so. The bill, signed into law by Governor Arnold Schwarzenegger, has members of a government-appointed council developing draft emissions regulations by 2009. October 25 — Nigerian protesters seize three Shell Oil Co. rigs to dramatize concerns about incessant oil pipeline spills, leaking the equivalent of the Exxon Valdez every year. The World Conservation Union and others warn that the Niger Delta, one of the world’s most important mangrove ecosystems, had become one of the five most polluted spots on earth. October. 30 — The Stern Review — a report on climate change — is published. British Prime MinisterTony Blair says that it shows that scientific evidence of global warming was “overwhelming” and its consequences “disastrous”. November 3 — CO2 is at 379.1 ppm, and NOx is at 319.2 ppm, the United Nations World Meteorological Organization (WMO) reports. The levels represent a steady two percent per year increase. November 7 — US elections put Democrats in control of both houses of Congress in an historic turnover reflected broad dissatisfaction with the Bush administration. Energy, environent and natural resource policies are among the areas where environmental protection is seen as needed. November 9 – Boliva nationalizes seven foreign-owned oil and natural gas firms. Under the new contracts, the energy companies, which included Brazil’s state-run Petroleo Brasileiro SA (Petrobras) and Spain’s Repsol YPF SA, would provide the government with 50%-82% of their revenue. President Evo Morales Aina in May had announced the seizure of foreign-run gas and oil fields, but Morales’s success in obtaining cooperation for nationalization was a significant political victory. December 15 — Fisheries aren’t a lost cause, according to an article in the journal Science. A U.S.-based Inter-American Tropical Tuna Commission study challenges claims that current fishing practices would result in the global collapse of fish species. .Jan 10 — European Union agrees to cut C02 emissions by 20% by 2020, compared to 1990 levels. Under the Kyoto protocol, the EU was already committed to an 8% decrease. The plan also called for biofuels to make up at least 10% of vehicle fuel by 2020. Jan 18 – US — New Democratic House of Representatives votes to repeal about $14 billion in tax breaks and subsidies for oil and gas companies, and put the savings in a fund for developing alternative energy sources. The bill is defeated in the Senate, where Democrats have only a one-vote majority. Jan 30 – US — Congress holds hearings on allegations that the Bush administration intentionally impeded the work of government scientists in order to play down the human impact on global climate change. February 9 — UK — Billionaire businessman and philanthropist Richard Branson of Britain sets a $25 million prize for anyone able to devise a way to reduce the amount of so-called greenhouse gases from the Earth’s atmosphere by one billion tons (900 million metric tons) per year. February 9 – US EPA cuts level of carcinogenic benzene allowed in gasoline to 1.3% This will result in an 80% cut from 1999 toxic emissions levels by 2030, EPA said. The change in rules was the result of a 2004 lawsuit by the U.S. Public Interest Group and the Sierra Club. The groups were not happy with one part of the new regs that allow refineries to trade credits for air toxics. February 26 — Africa — Ivory trade restrictions have collapsed, according to research presented in the Proceedings of the National Academy of Sciences. Samuel Wasser, a conservation biologist at the University of Washington in the U.S. said African elephants were in greater danger of extinction than even before the 1989 ivory trade ban. Around 23,000 African elephants were killed in 2006, Wasser and researchers found. February 28 — Japanese whalers call off the ill fated and controversial annual whaling expedition after repeated ramming and clashes with the Sea Shepherd Conservation Society ships and an unrelated fire onboard the Nisshin Maru that killed one crewman. New Zealand Prime Minister Helen Clark said the fire could have been an environmental disaster for Antarctica if 343,000 gallons of fuel oil carried by the Nisshin Maru had been spilled. April 2 — US Supreme Court rules that states may regulate “greenhouse” gasses in Massachusetts v. EPA. The ruling is a blow to the Bush Administration. April 6 – Climate change will most drastically affect poorer nations, the UN Intergovernmental Panel on Climate Change (IPCC) said as it released the second section of a multipart climate change report titled “Climate Change 2007: Climate Change Impacts, Adaptation and Vulnerability,”were compiled by hundreds of scientists and endorsed by more than 120 governments. May 4 — UN Intergovernmental Panel on Climate Change (IPCC) releases the final portion of a multipart report that estimated the cost of reversing the emissions of greenhouse gases thought to cause climate change. Sabilizing the world’s output of greenhouse gases by 2030 would add $100 to the cost of one ton of emitted carbon, the IPCC estimates, at a cost equal to 0.12% of the world’s annual gross domestic product, and would reduce the projected growth in the world’s economic output by less than 3% as of 2030. May 26 — South Pacific deep sea trawling in areas with endangered coral reef systems ended by treaty. July 7 — Live Earth concerts by Madonna, the Black Eyed Peas, the Red Hot Chili Peppers, Metallica, Pharrell Williams and the Beastie Boys raise awareness of climate change. Concerts were held in London, Tokyo, Shanghai, Sydney, Johannesburg, Hamburg, Rio de Janeiro, and in the US, East Rutherford, New Jersey. July 11 — US — Lady Bird Johnson (1912 – 2007) dies. Widow of Lyndon B. Johnson, the 36th president of the U.S., Lady Bird Johnson’s behind-the-scenes efforts were instrumental in the passage of about 150 laws that directly benefited the environment; for her strenuous conservation efforts, she was awarded a Presidential Medal of Freedom in 1977 and a Congressional Gold Medal in 1988. Aug. 15 — US — John William Gofman, 88, nuclear chemist and medical researcher (1918 – 2007) In the late 1960s, Gofman and a colleague at Lawrence Livermore National Laboratory sounded an alarm about the health effects of radiation from nuclear weapons and nuclear power. They called for federal safety guidelines for low-level exposure to be reduced by 90%. Their findings were disputed by the Atomic Energy Commission, and he was pushed out of government service. Gofman became an activist, helping found the Committee for Nuclear Responsibility, in 1971. Aug. 24 — US Interior Department’s Office of Surface Mining Reclamation and Enforcement proposes easing environmental requirements for mountaintop removal mining. The proposals outraged many people in Appalachia, leading in part to the West Virginia Council of Churches statement against mountiantop removal mining. September 20 — Arctic sea ice is far smaller than ever before with a loss of a million square miles, a finding that “shatters previous records,” according to the National Snow and Ice Data Center (NSIDC) in Colorado. Sept 27-28 – US president George W. Bush hosts his own conference on climate change in Washington, D.C., attended by mid-level representatives of 16 countries. The summit was intended to establish an alternative to talks led by the United Nations, but came to no conclusions and are clearly aimed at appearances rather than substance. Oct. 29 — US Supreme Court agrees to hear an appeal of the fines levied on Exxon-Mobil Corp. for the 11 million gallon Exxon-Valdez oil spill of 1989. In 1994, a federal court in Alaska awarded 32,000 plaintiffs about $5 billion in punitive damages. The U.S. 9th Circuit Court of Appeals in San Francisco, California, reduced the damages amount to $2.5 billion in 2006, but Exxon-Mobil still claimed the amount was excessive since they claimed to have spent $3.5 billion on cleanup. Nov. 5 — The murder of environmental journalists has become a very serious problem for the world, according to Arnold Amber of Canadian Journalists for Free Expression. Nov. 7 — A South Korean container ship Cosco Busan collides with the San Francisco-Oakland Bay Bridge in California. About 58,000 gallons of bunker oil and diesel fuel are spilled — the largest spill since 1988. Nov. 23 — Argentina New law stops timbering in native forests of Argentina following an environmental campaign gathering 1.5 million petitions for forest protection. Dec. 3- Bali, Indonesia — International conference on climate change begins as part of an ongoing United Nations effort to develop a successor plan to the 1996 Kyoto Protocol, an international treaty that set mandatory caps on greenhouse gas emissions by industrialized countries. December 6, 10:30 a.m. West Virginia — Churchbells ring and a moment of silence is observed in West Virginia by order of the governor in observance of the 100 years anniversary of the Monongah Mine disaster. Some 362 coal miners were killed and public outrage led to creation of the US Bureau of Mines in 1910. Dec. 14 — US — Conservative senators (by one vote) and President George Bush block provisions of an Energy Bill that would have financed renewable energy by cutting tax breaks for oil companies. Dec. 30 — US Climate Data Center and others say 2007 was the warmest year on record. In one of the most emotionally charged US presidential campaigns in history, Democrat Barak Obama wins a landslide victory and promises to reform environmental law enforcement. Jan 15 — Two members of the Sea Shepherd Conservation Society are seized after boarding Japanese whaling vessel Yushin Maru No. 2 to deliver a protest to the ship’s captain. Environmentalists are trying to bring more attention to Japanese whaling practices, saying most of the “harvested” whale meat was destined for Japanese consumers and not scientific research, as is Japan’s obligation under international treaties. Jan 25 — US Forest Service opens 3.4 million acres (1.4 million hectares) of Alaska’s Tongass National Forest to logging despite protests. Feb 7 — Scientists at Princeton University and the Nature Consevancy publish findings in Science magazine that more greenhouse gases are created if forests and other natural ecosystems are converted into farmland to produce biofuels crops. Feb 28 — British Antarctic Survey and U.S. National Snow and Ice Data Center (NSIDC) report the collapse of a 160-square-mile (405-sq-km) section of the Wilkins Ice Shelf in western Antarctica around the end of the Antarctic summer. March 11 — US National Research Council reports that rising sea levels threatens key infrastructure in the U.S.
March 17 — The World Glacier Monitoring Service, based at the University of Zurich, Switzerland, reports that melting of 30 glaciers from nine mountain regions has accelerated. This will have negative impacts for drinking water and power generation in poor areas of South Asia and South America, the WGMS said. April 4 — China sentences human rights and environmental advocate Hu Jia to three and a half years in prison for “inciting subversion of state power.” Accordig to Wikipedia, Hu became interested in environmental issues while in university and participated in several environmental organizations including the Friends of Nature, led by Liang Congjie and the 1997 Green Camp university student environmental camp led by Tang Xiyang. In 1998 Hu Jia was involved in rescuing some wild elk that were threatened by severe flooding that year. Hu was subsequently involved in efforts to protect the Tibetan Antelope that were being slaughtered for their fur. The arrest and sentencing had more to do with silencing dissent in advance of the Bejing Olympics than it did with Hu’s activities, critics said. May 13 — Brazil’s Environment Minister Marina Silva resigns to protest the failure to protect the Amazon rain forest. Earlier that year, new estimates put rainforest loss increases at 34 % over the previous year. An estimated 5,791 square miles were cleared in 2007, up from 4,334 square miles in 2006. Silva’s resignation was widely seen as underscoring the environmental problems of Brazilian President Luiz Inacio Lula da Silva. May 22 — Lacey Act, first passed in 1900, is amended in US to curtail illegal logging. June 16 — UN high commissioner for refugees, Antonio Guterres, links the increasing number of world refugees to some of the effects of global warming. Climate change led people to be driven from their homes “both directly, through impact on environment–not allowing people to live any more in the areas they were traditionally living–and as a trigger of extreme poverty and conflict” he told Britain’s Guardian newspaper. July 9 — Group of Eight (G-8) industrialized nations will cut greenhouse gas emissions in half by 2050, they agree. This is the first time that all eight countries made the climate commitment. Aug 4 — Alaska Gov. Sarah Palin, soon to become the Republican vice presidential nominee, sues US Interior Secretary Dirk Kempthorne, who on May 14 had declared that the the polar bear was a “threatened” species under the Endangered Species Act due to shrinking sea ice. (The designation came only after lawsuits by the Natural Resources Defense Council, the Center for Biological Diversity and Greenpeace.) Palin’s lawsuit on behalf of the state of Alaska said the designation could imperil development of oil and gas fields. Sept. 10 — US Interior Department Inspector reports on widespread misconduct within an office of the department’s Minerals Management Service (MMS). Employees had accepted gifts from energy companies, had sexual contact with representatives of energy companies and bought and used drugs, including cocaine. Sept 12 — Arctic ice shrinking — U.S. National Aeronautics and Space Administration (NASA) and the National Snow and Ice Data Center (NSIDC) report that the area of Arctic ice was at a 2008 summer low of 1.74 million square miles (4.5 million sq km). The record was not quite as low as 2007, with a low of 1.59 million square miles. September — More dire warnings about climate change accumulate. Scientists with the Global Climate Project estimate that the current carbon dioxide emissions trend would result in an 11° Fahrenheit temperature rise by the end of the century. Oct 6 — The International Union for Conservation of Nature (IUCN),warns that one in four of the world’s mammals could become extinct from habitat loss, climate change, hunting or other threats. Nov. 4 — Barack Obama wins US presidential election, promising changes in US policies in many areas, including environmental protection. November – Approval of a new open pit gold mining project in northern Costa Rica is a serious environmental embarrassment for the Arias government, environmentalists say. Nov 12 — US Supreme Court rules that the Navy can use sonar in training exercises off the California coast even if it might harm whales and other aquatic mammals. Nov. 13 — Russian environmental journalist Mikhair Beketov is severely beaten and left for dead following reporting on the Khimki forest controversy. November — Tropical birds, protected by international treaty since 1912, are again under threat. So many of Venezuela’s scarlet finches, also called the red siskins (Carduelis cucullata), have been captured for breeding with canaries that they are near extinction. Donna Lisenby and Sandra Diaz of Appalachian Voices take ash samples to counteract fabricated data from TVA. Toxic chemical levels were 300 times higher in these independent samples that were analyzed at Appalachian State University and verified by another (non-TVA) government lab. Coal Ash Disaster — Dec 22 — Tennessee — Over a billion gallons of coal fly ash sludge spills out of a holding dam near Kinsport, TN, creating a larger spill than the Oct. 11 2000 spill at Inez, Ky. TVA tells consumers that conditions are “probably safe,” that they should boil water and that fly ash is similar to gypsum. In reality, the toxic brew contains significant amounts of arsenic, beryllium, boron, cadmium, chromium, chromium VI, cobalt, lead, manganese, mercury, molybdenum,selenium, strontium, thallium, and vanadium, along with dioxins and PAH compounds. During the subsequent weeks and months of the disaster, TVA continues to grossly mislead residents of the region about the safety of of the spill materials. In addition, environmental activists with United Mountain Defense and Appalachian Voices are arrested and harassed when they attempt to take air and water samples, while other environmental activists manage to slip under the radar, taking air and water samples that indicate TVA is deliberately falsifying test results. The media uproar is significant, but, somehow, TVA leadership manages to avoid getting fired. December – Mexico — Manganese mines in the mountains of Hidalgo province, in central Mexico, are found to be causing serious neurological damage to nearby residents, December — US President George W. Bush prepares to leave office with the lowest level of attention to environmental protection of any president in US history. Along with ordering the subversion of hundreds of laws and existing regulations, and dismantling regulatory institutions and demoralizing government agency employees, the Bush administration frequently rewrote scientific reports to suit political ends. Dec. 29 — Mexico — About half of the Monarch butterfly reserve in the mountains of central Mexico is now gone due to illegal logging, a report says. 2008 — In one of the first attempts of international courts to engage with the manifestations of climate change, the European Court of Human Rights rules against Russia in a case involving a failure to warn and protect people in a landslide-prone area. “Particular emphasis should be placed on the public’s right to information,” the court said in the case. (UNEP Compendium on Human Rights & the Environment, Budayeva and others v. Russia, p. 75). Jan 15 — U.S. Climate Action Partnership presents plan to reduce U.S. greenhouse gas emissions to 20% of 2005 levels by 2050 through a cap and trade system.The business – backed plan is seen as a method to cushion the impact of climate legislation that will be taken up in the Congress. Jan 20 — Barak Obama takes office amid an upwelling of hope that environmental protection can become a higher international priority. Feb 20 — A new international protocol on mercury pollution begins at a UN summit in Kenya after the US reverses the Bush administration opposition. Indian and China also agree to participate with the US opposition removed. U.S. Deputy Assistant Secretary of State for Environment and Sustainable Development Daniel Reifsnyder will lead negotiations. Feb 24 — US climate monitoring satellite launch failes, and the Orbiting Carbon Observatory crashes into the Indian Ocean. March 30 — President Obama signs the largest wilderness protection bill in 15 years, protecting two million acres in nine states. April 17 — US EPA rules that emissions of six greenhouse gases, including carbon dioxide, are a danger to public and should be regulated. This followed an April 2007 Supreme Court ruling that greenhouse gasses should be regulated ( Commonwealth of Massachusetts v. Environmental Protection Agency) and a rule-making procedure in the Bush Administration that was little more than foot-dragging. April 17 — Summit of the Americas brings together elected leaders from 34 countries to discuss sustainable energy, protecting the environment and human prosperity. May — Toxic waste from a Tanzanian gold mine spills into River Tigithe, killing 20 people and a thousand cows. Barrick Gold mining company denied any connection to the incident. (Memory, Truth and Justice for Heroes, Friends of the Earth report, 2011). May 8 –US — W.R. Grace Co. acquitted on federal charges that it hid the threat of asbestos contamination from residents of Libby, Montana. 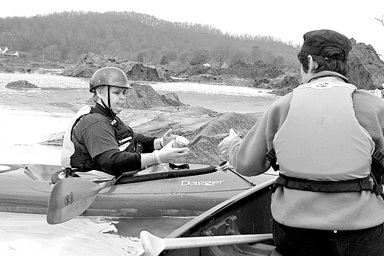 May 11 — US EPA takes charge of the one billion gallon toxic coal ash spill that occurred December 22, 2008 at the Kingston Fossil power plant near Knoxville, Tennessee. May 13 — Nations submit hundreds of conflicting claims to portions of the ocean floor to the U.N. Commission on the Limits of the Continental Shelf. May 14 — Ontario, Canada passes Green Energy Act providing “feed in tariffs” designed to accelerate use of wind and solar energy. It is the most serious government-level North American investment in renewable energy and is patterned after existing investment plans in Denmark, Germany and other European nations. May 19 — Obama administration proposes new corporate average fuel economy standards increase by 10 miles a gallon to 35.5 miles per gallon between 2012-16. Tailpipe emissions would be reduced by more than 30 percent. Rules are adopted on Sept. 15. Spring – Summer — Appalachia — Protests over mountaintop removal mining accelerate in the coal fields of Appalachia in the United States. Protesters want an end to the destruction, safe containment for sludge dams and a shift to renewable energy. June 5 — Ten Peruvian Indians and 23 police officers were killed in clashes when police broke up a peaceful June 2009 protest by Indigenous people in Bagua in Peru’s northern Amazon region, according to Amnesty International. The deaths came following protests over laws relating to the use of land and natural resources, which the indiginous peoples said were a threat to their rights and livelihood. June 9 — Shell Oil Co. settles out of court with Nigerians affected by the execution of Ken Saro-Wiwa and eight other activists in 1995. The executions were carried out despite worldwide protests. June 22 — US Supreme Court rules that Coeur Alaska Inc., a gold-mining company, is allowed to dump slurry waste in Lower Slate Lake near Juneau, Alaska. The Southeast Alaska Conservation Council said the mine tailings would destroy life in the lake. July 9 — The Group of Eight (G-8) industrialized nations (U.S., Britain, Germany, France, Italy, Russia, Japan and Canada_ agree to reduce their greenhouse gas emissions by 80% by 2050, leading to hopes for a successful summit in Copenhagen, Denmark. (See Dec. 18, 2009). Aug. 17 — The Sayano-Shushenskaya hydroelectric plant in Siberia explodes, killing 75 and leaving oil slicks in its wake. Before the accident it was the largest hydroelectric plant in Russia and the sixth largest in the world, according to a Wikipedia article. Sept. 30 — US EPA announces new Clean Air Act regulations to reduce greenhouse gas emissions from electric power plants. Oct 21 — India and China agree on a joint approach to climate talks “that not only protects the environment but promotes the interests of developing countries,” according to Indian Environment Minister Jairam Ramesh. October — Memos between scientists working on climate issues are leaked to bloggers, creating a furious controversy over the legitimacy of the science of climate modeling. See coverage on Climate Wars by the Guardian (UK) and Global Warming by the New York Times. Nov. 24 — Jose Galindo Robles, an award-winning environmental journalist and head of the University of Guadalajara (Ciudad Guzman) radio, was found murdered in his home in Jalisco State. Galindo-Robles had won the national prize for environmental journalism for his reporting on toxic waste dumping in the Santiago River. (IFEX: Journalists murder linked to reporting on environment). Altogether, 12 journalists were murdered in Mexico in 2009, according to Human Rights Clearinghouse. December 18 — Copenhagen — The first decade of the 21st century ends with the collapse of climate negotiations in Copenhagen. US President Barack Obama announces a non-binding agreement between the U.S., China, Brazil, South Africa and India. But representatives from 193 countries failed to reach a consensus on replacement for the 1997 Kyoto Protocol emissions treaty, set to expire in 2012.